Factory floorboards and subframe rails removed! 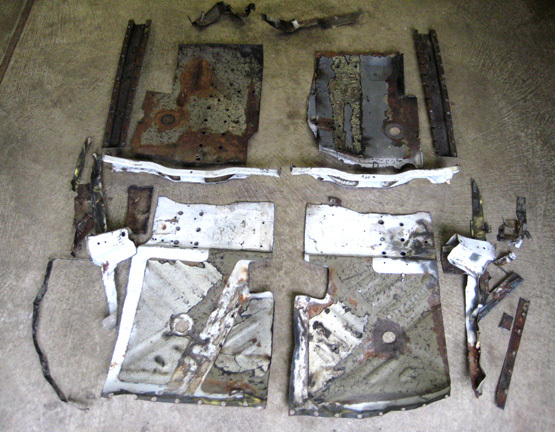 Description : Here are the original floors assembled to show their previous placement in the car. The left and right dark-colored beams are the small subframe units that were spot-welded to the underside of each front floorboard.